The Wisconsin Conservation Hall of Fame in Stevens Point will induct Scott Craven, the late Don L. Johnson, and the late Aroline Schmitt on April 13. The induction program at 2 p.m. is open to the public (click here for more information). 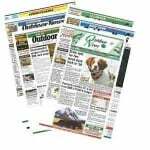 Johnson (1927-2006) was the outdoor writer for the Milwaukee Sentinel newspaper. 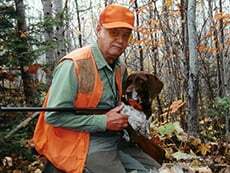 He covered hunting and fishing in Wisconsin, and reported extensively on the DNR and Natural Resources Board. Johnson was instrumental in reporting the dangers of DDT (dichlorodiphenyltrichloroethane). Johnson told me that once, he was at the DNR (then located in the Pyare Square Building in Madison) interviewing Walter Scott, assistant to DNR secretary Les Voigt, when Scott opened a file on his desk, then said he would be out of the office for a while. Johnson knew it was an invitation to examine the file while Scott was gone, and he learned about concerns officials had over DDT’s potential to harm Wisconsin wildlife. He was instrumental in reporting that story and followed the DDT hearings that were held in Madison. Eventually, DDT was banned in Wisconsin, the second state to do so. 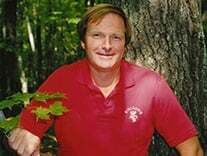 Most hunters and anglers know of Craven (born in 1948) from his appearances on Larry Meiller’s statewide program on Wisconsin Public Radio, but they probably don’t know he was instrumental in beginning a national educational effort teaching the benefits of hunting. Craven, and several other wildlifers, noticed that many young people studying natural resources didn’t have a hunting background. He started the Wisconsin Student Hunter Project, which has become the national Conservation Leaders for Tomorrow program. Those students will someday be decision-makers in state and national conservation organizations, and they now have an appreciation and understanding of hunters and hunting.